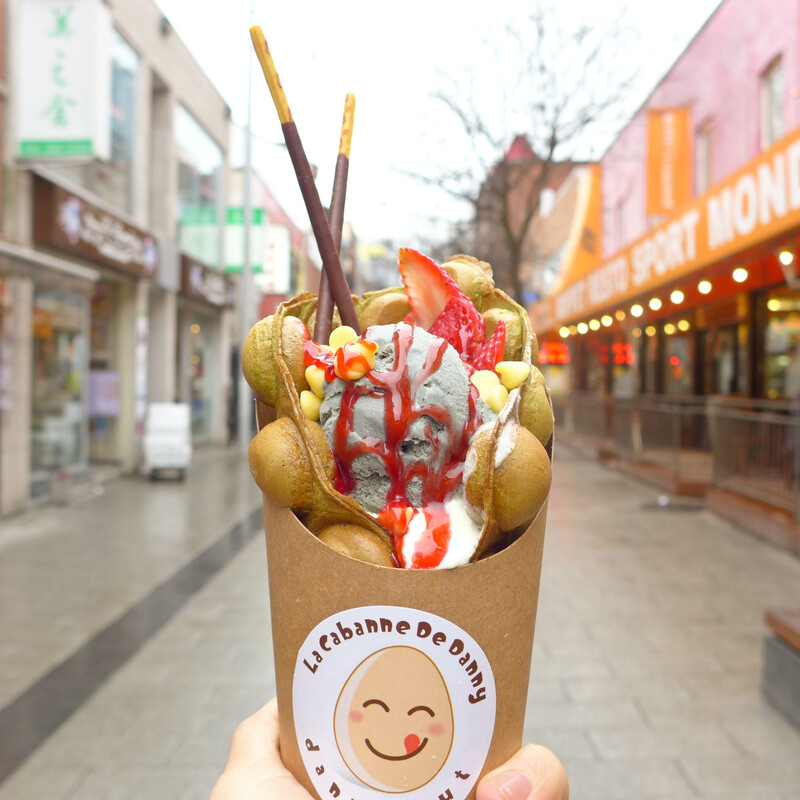 The bubble waffle is one of the most admired street snacks in Hong Kong, made traditionally from a batter of eggs, custard powder, tapioca flour, and evaporated milk. It is eaten by tearing each bubble apart. No powdered sugar nor dipping sauce is needed; it is delicious on its own. Since its taste is pretty much standardized, it is difficult to please Hong Kongers if it is not done right. The ideal waffle should be warm, eggy with a slightly crispy exterior, and a sponge cake-like interior. 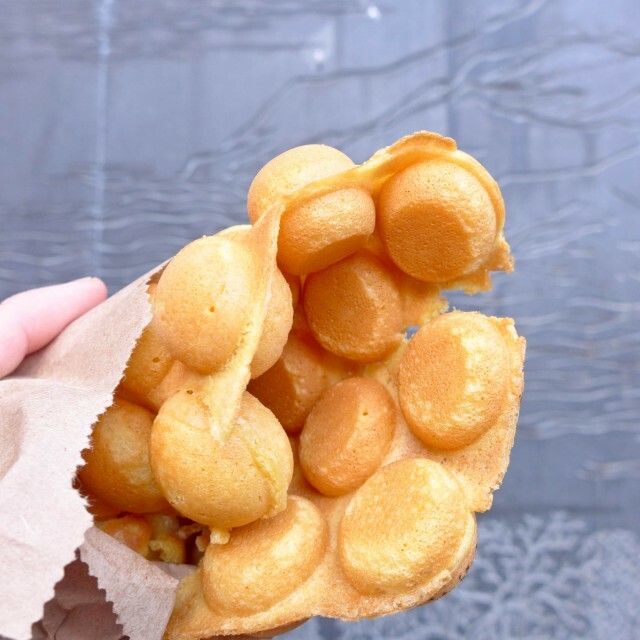 In Cantonese, it’s called gai daan jai, however in English, it comes in various interpretations – egg puff, eggette, or egg waffle, to name a few. 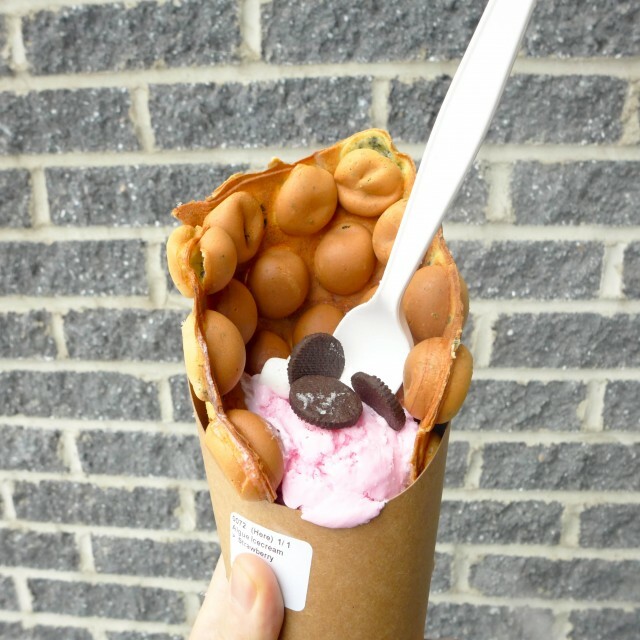 Very recently in North America, the bubble waffle is used as a vessel to create insane Instagram-worthy sundaes. 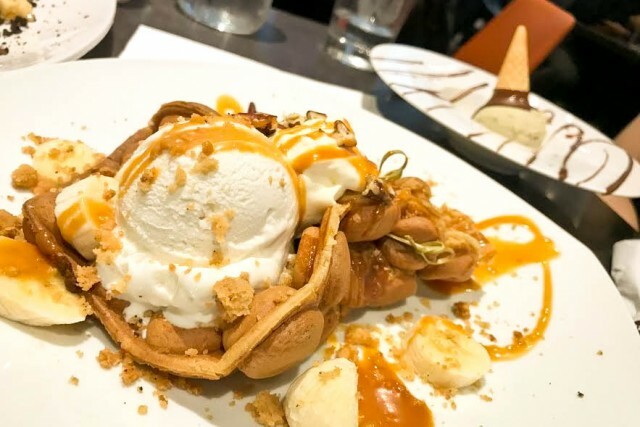 Now that Montreal is picking up on this latest food craze, here are the sweetest spots where you can enjoy them. Dragon Beard Candy is a Chinatown landmark, famous for its threaded candy wrapped around a peanut-coconut mixture. 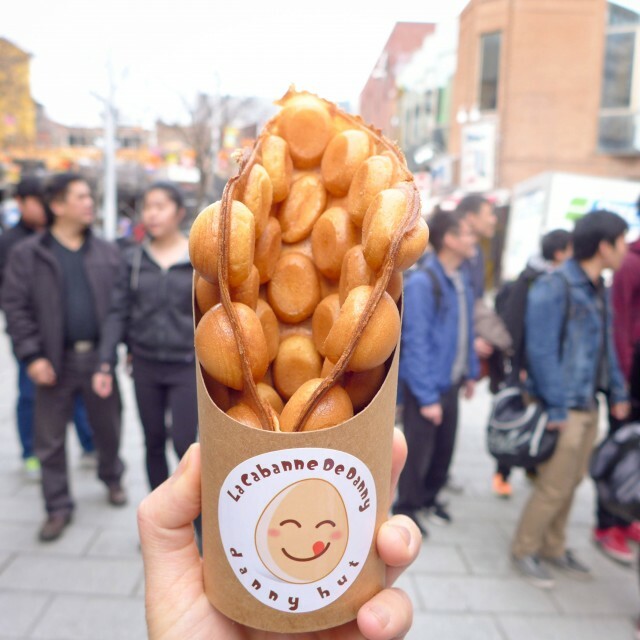 Very few people know that they have been selling the original flavoured bubble waffle for over a decade. 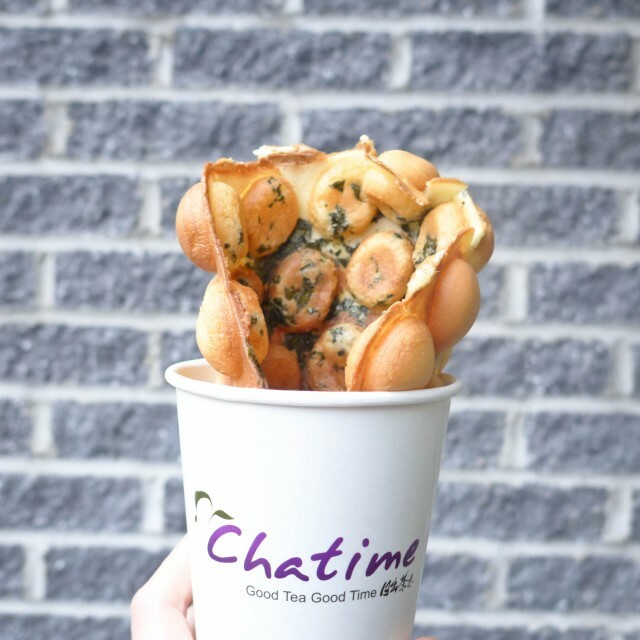 Chatime (at the avenue du Parc location only) is well-known for its wide selection of bubble tea. 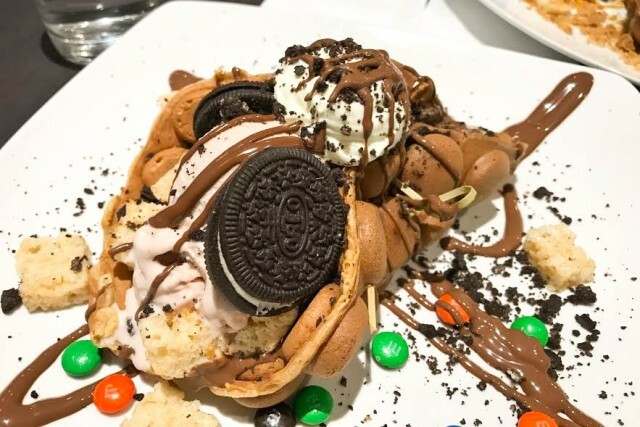 What is not advertised is that the du Parc location sells bubble waffle ice cream following the same recipe as La Cabane de Danny. 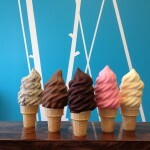 Here, there are four available waffle flavours (original, matcha, chocolate, or seaweed) with four choices of ice cream. Seaweed might sound strange to Westerners, but it’s a popular childhood snack amongst Asians. It gives a complimentary saltiness and smokiness to the waffles. 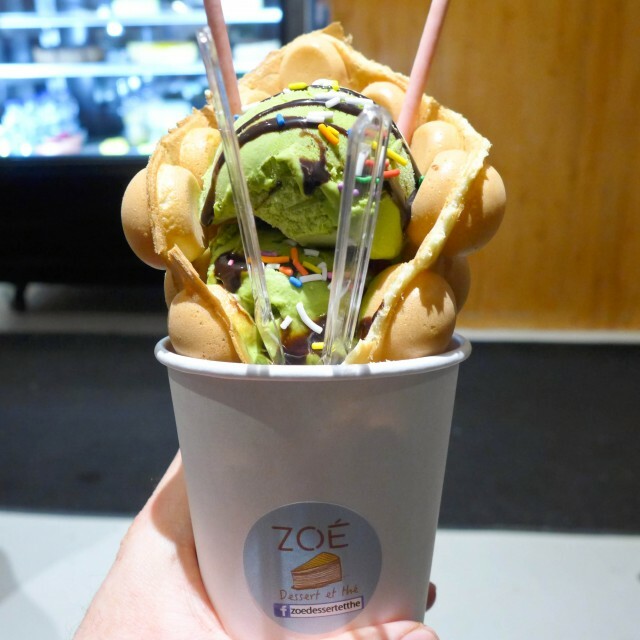 Zoe Dessert is the newest Asian dessert spot that took over the former Nos Thés location. 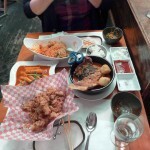 Here you can find mille-crêpes, mousse cakes, tiramisu flower pot, sago coconut soup, and bubble tea. You only need to pick two ice cream flavours (mango, red bean, matcha, black sesame, vanilla, and/or chocolate) to go with the original waffle. 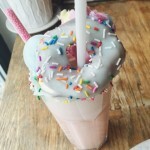 It is topped with Pocky sticks, chocolate syrup, and sprinkles. Black Jack is an all-chocolate dessert – gooey brownie, chocolate gelato, strawberry, chocolate pearls, and chocolate drizzle. 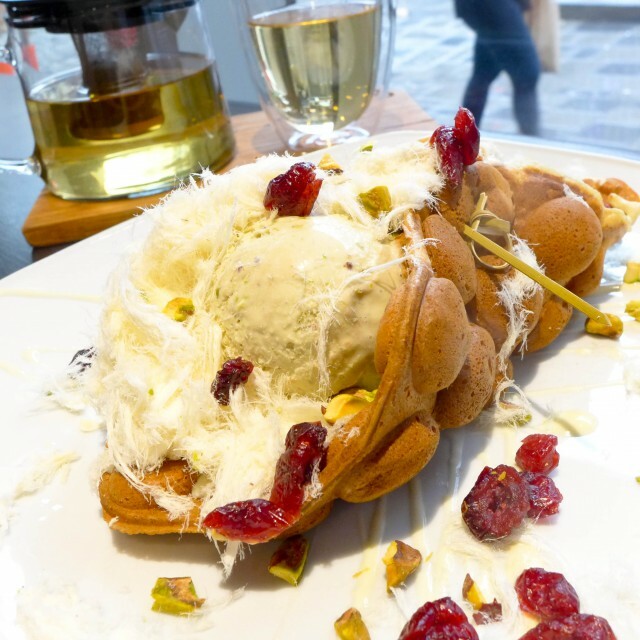 Pistache Pizzazz is a Hong Kong-meets-Lebanon dessert – ghazel el banet (Lebanese candy floss), pistachio gelato, dried cranberries, and white chocolate drizzle. King Kong is a sweet nutty concoction gone bananas – vanilla gelato, slices of banana, salted caramel, crumble, and pecans. Pretty in Pink is a combination of childhood treats – Strawberry gelato, M&M, Oreos, Rice Krispies, and chocolate drizzle. 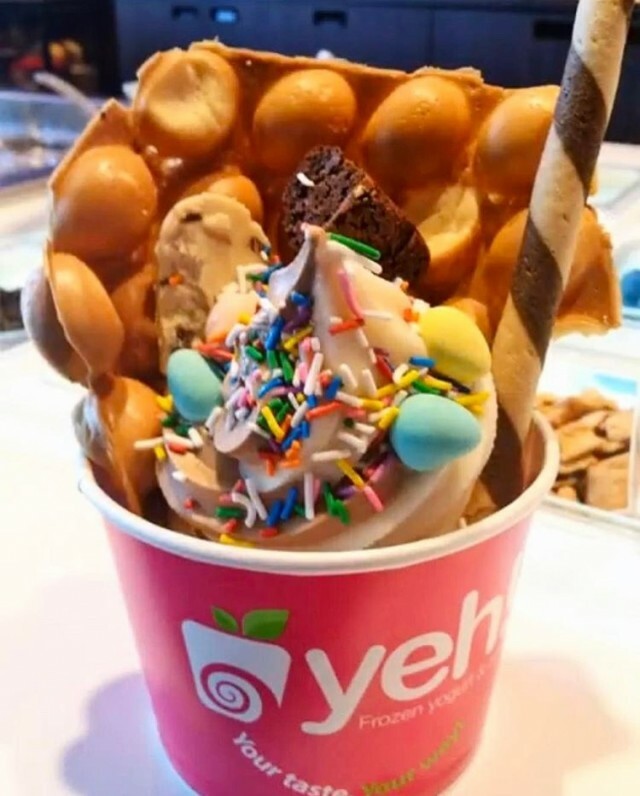 Your favourite frozen yogurt shop is now serving bubble waffles! 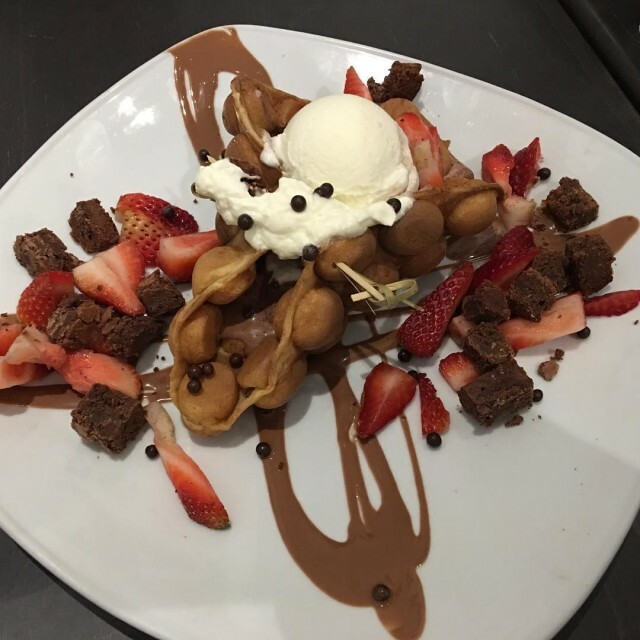 Instead of ice cream, fill your bubble waffles with frozen yogurt and one of their numerous toppings. 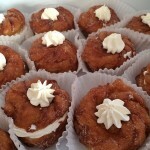 Not all locations are offering the new tasty treat, so call in advance before making the trek. Photos by Victor Yu (@randomcuisine), @encoreunehistoire, and @carlcubm.